Wine cellars are essential when you want to get serious with your wine collection. Wine is a delicate and complex substance, and it requires just the right elements to come together to make sure that it is stored well and aged properly. Options have been made available on the market that will help aspiring wine collectors replicate the ideal conditions in the wine cellars in the chilly French countryside. When constructing a wine cellar, you must ensure that the crucial conditions for proper wine preservation are present. Two important facets of proper wine cellar construction are installing a proper vapor barrier and making sure the doors, walls, and windows are completely sealed. A vapor barrier keeps the warm air from the outside or from adjacent rooms from seeping through the walls of your wine cellar. If this happens, condensation will occur, and over the course of time cause mildew and mold to form inside your cellar, affecting wine’s quality. The vapor barrier stops this from happening. You can typically use a 6-8 mm plastic sheet for the vapor barrier, available in most Home Depots. They should be wrapped around your wine cellar on the warm side of the insulation. Note that the cool side of the wall is the one which actually encloses your wine collection. This essentially covers your wine collection from heat and humidity. Another aspect of sealing your wine cellar is making sure that your wine cellar door is airtight. The wine cellar door should be weather-stripped on all four sides of the door jam. There should be a bottom door-sweep to prevent outside air from flowing into your wine cellar when the door is closed. Solid core doors or full glass doors are recommended. But, if you prefer a glass door, it should have double-pane insulated tapered glass. Premium grade silicone caulk must be used to seal door casing to the wall. Just as your wine cellar entryway, the windows must also be sealed. The use of quality insulated glass, good sealant, and a high quality frame is recommended. A reliable window foam sealant is recommended to prevent the intrusion of warm air, thus preventing wine faults. Other ways you can ensure an airtight wine cellar is to build an extra wall that is made out of waterproof materials and leave a 1cm airpocket in between the two walls. Another way is to apply polyurethane on the wall that is already there and then cover it with cement and plaster panels. Sealing is very important to make sure that your wine cellar cooling system will be able to perform its job efficiently which is to maintain the ideal temperature and humidity in your Florida custom wine room. This is especially critical if you live in an area with a warm climate such as Florida. Florida wine cellar owners need to make sure that their cellars are completely sealed in order to protect their wines from harmful external factors. Wine Cellar International is a Florida wine cellar builder that offers its clients the best wine storage solutions available. Visit their website at http://www.winecellarinternational.com/ for more information about their products and services. Wine is one of God’s gifts to men. It is a wonderful beverage, meant to be enjoyed and shared with friends and family. It is one of tastiest beverages. In order to make sure that wine tastes good, it is very important that you understand the essentials of wine storage. Here are the basics to keeping wine. There is nothing more damaging to wine than heat! When the temperature is above 70 degrees Fahrenheit, wine ages prematurely. This, in turn, causes it to taste awful. The ideal temperature range to store wine in is between 45 to 65 degrees Fahrenheit. A regular household refrigerator is not ideal for wine storage. The average refrigerator is configured to store perishable goods and other food items. The temperature in a regular fridge can fall below 45 degrees Fahrenheit. A temperature this low can cause the wine corks to eventually dry out, thus allowing air to seep into the bottle and ruin the wine. Wines should never be kept in locations where they could freeze. Wine expands when it turns to ice. When it expands, it may push the cork out of the bottle. To provide the right temperature for wine, you need a custom wine cellar with a wine cellar refrigeration unit installed. Only a wine cooling unit can provide the right temperature for wine storage with minimal to no fluctuations. Ultraviolet light is another enemy of wine. Ultraviolet light degrades the quality of wine by causing premature aging. This is the reason why wine bottles are dark tinted; wine has to be protected from this kind of light. Sunlight and fluorescent lights emit ultraviolet light. LED lights are the best option for custom wine cellars in Miami, Florida. Ideally, wines should be kept in a wine cellar in Florida that has a humidity level anywhere between 50 to 80 percent. Too humid of a location can allow mold and mildew formation. Although mold and mildew may not necessarily affect wines that have been sealed properly, it can most certainly damage wine labels. Humidity levels that are too low can dry out corks and cause the oxidation of the wines. Having your wine bottles rest sideways on your wine racks has two benefits. First, it makes sure that the wines are in constant contact with the corks, to prevent them from drying out. Second, horizontal wine racking saves a lot of space. 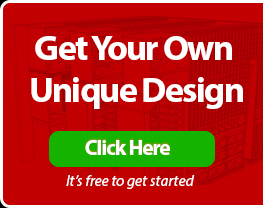 This is especially good for those who want to store hundreds to thousands of wines. Constant vibrations can be damaging to wines because shaking speeds up many chemical reactions in the wine. This, in turn, causes wine to age prematurely. Keep wines in a wine storage room that protects it from vibration. 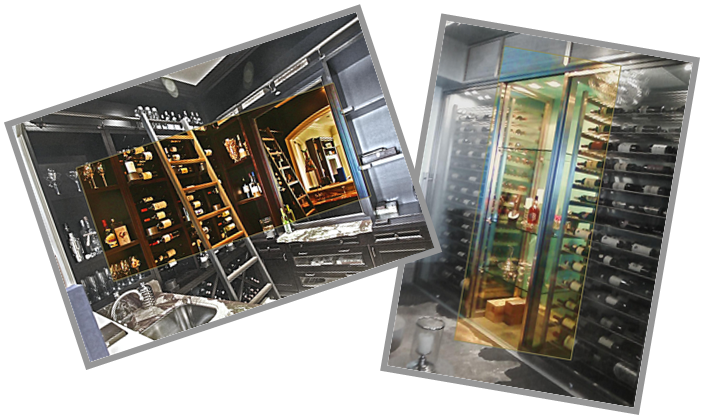 Wine Cellars International provides more tips on how to build the perfect wine storage rooms for your beloved wines. They offer various kinds of custom wine cellars in Miami, as well as different designs of wine racks.